Umezu is the brine released during the pickling process of the Ume Boshi Plums, harvested in Japanese early fall. 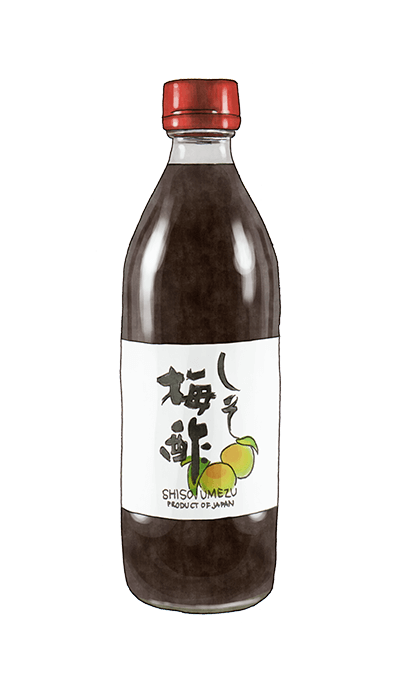 Umezu acquires it's distinct pink colour from the addition of purple shiso leaves during the second stage of the brining process. It's high salt content, make Umezu ideal for pickling seafood and vegetables, while introducing a beautiful pink colour. Also good, used sparingly, as a flavoring agent for sauces, dressings and salty, sour sweet ice-cream.